The Kentucky Derby is coming up fast and that makes this a great time to get into betting on horse racing. If you are a complete beginner however, you probably have many questions about wagering on the “Sport of Kings.” The vocabulary can be overwhelming for a newcomer to master, and with so many statistics and bet types to consider, it is easy to end up feeling lost. Previously, I have recommended a few online sportsbooks which are excellent for betting on horse racing. Now I want to go in-depth on horse racing terminology, betting systems and the different types of bets. That way you will be ready to put down some wagers! As with other sports that you might bet on, horse racing bets range from the very simple and straightforward to the very complicated and exotic. While I recommend you start with the simpler types of bets, you can work your way up to the more complex ones once you know what you are doing. A “win bet” is just that — a bet on a horse to win a race. A “place” bet means you are wagering that the horse will finish either first or second (you do not have to specify which). If you put down a “show” bet, that means that you expect the horse to finish either first, second, or third. You again do not need to specify which. Because these bets are so simple and easy to make, I recommend starting with them before you proceed to the more exotic types of bets below. You are less likely to lose money through a simple mistake. Think that a horse is going to do well in a race, but just not sure how well? If you do not want to try and guess its specific placement, you can place what is known as an “Across the Board” wager. This is a win bet, a place bet, and a show bet, all of which are placed on a single horse. So say that horses A and B are running in a race. If you bet on A and B to win first and second place in that order, and A wins first and B places second, you win the exacta bet. But if B wins first and A places second, you lose your bet. Next is the “trifecta.” You may have already guessed what this is. Instead of wagering on the horses which are going to win first and second in a race, you are betting on the horses that are going to win first, second, and third. Once again, you need to get the order completely right or you lose your bet. A “Superfecta” is a bet on the first, second, third, and fourth horses to finish a race. As with the exacta and the trifecta, you can only win this wager if you correctly determine the order in which the horses will finish. You can see how winning an exacta bet would be significantly harder than winning a straight bet to win, place or show. Winning a trifecta is even harder, and winning a superfecta is very hard. If you do win an exacta, trifecta, or superfecta however, the payout can be impressive. It is also worth noting that as a beginner, you are more likely to make a simple error when placing a trifecta or superfecta than you are to make one while placing a straight bet. Think how easy it would be in the heat of the moment to get the order of two of the horses mixed around, and then end up losing when you should have won. This is why I recommend getting your feet wet with straight bets before you start filling out complicated trifecta bets. If you are following a big horse racing festival like Cheltenham or Royal Ascot, there will typically be more than one race a day. A “Daily Double” bet allows you to try to determine which horses are going to win two of the races. So if you guess that horse C will win race #1 and horse D will win race #2 and you are right both times, you will get a nice payout. The caveat of course is that you have to place your Daily Double wager before the first race takes place. But if you are quite confident about the outcome of two races, this may be a great opportunity to make money. These are just variations on the Daily Double—just as a trifecta and superfecta are variations on an exacta bet. With a “Pick 3” bet, you need to try to determine which horses will win three races. With a “Pick 4” bet, you have to try to figure out which horses will win four races. 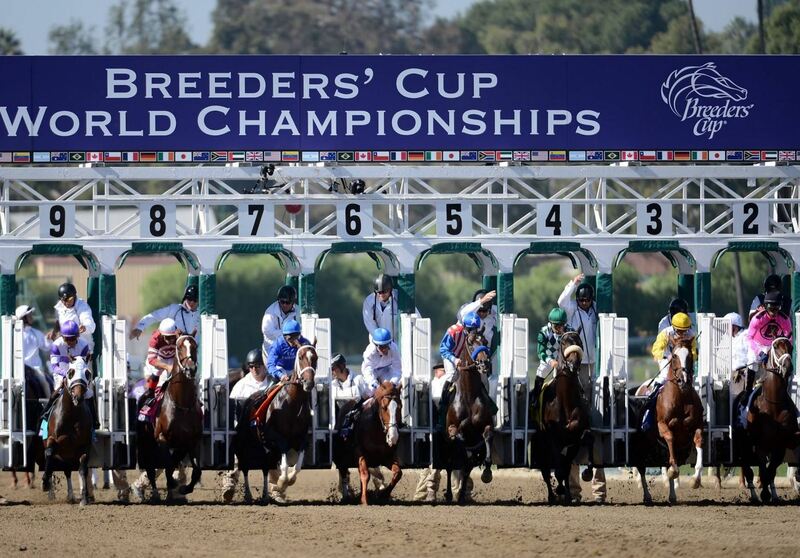 Once again, the full wagers need to be placed in advance of all of the races. This exotic wager is often referred to by its abbreviation “H2H.” If you place a Head-to-Head bet, you are betting on the relative performance of one horse versus another. It does not ultimately matter where the horses place in the race—it only matters which one outperforms the other. So say that you are placing a Head-to-Head wager that horse A is going to beat horse B in a race. If horse A beats horse B, you win. If horse B beats horse A, you lose. This is true whether the two horses place first and second in the race or they both finish last or anywhere in between. You can essentially ignore all the other horses running; they are irrelevant. Only the two horses involved in the H2H bet matter. This is like an Across the Board bet, but an Across the Board bet is a wager on all possible combinations for a single horse. If you wager on all possible combinations for multiple horses, then you have what is known as a “Box” bet. With a “wheel” bet, you are picking just one horse to win or place, but you also are selecting a number of other horses to finish after that horse. 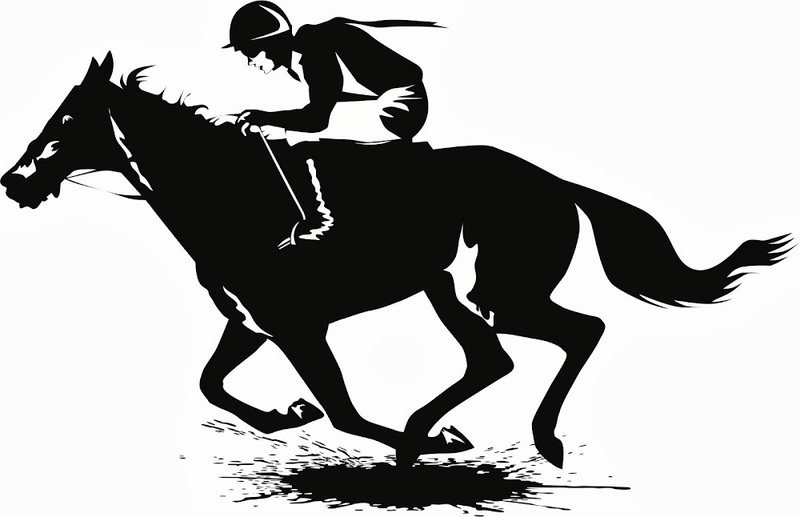 You now know the common types of horse racing bets which you will encounter when you are wagering online. Let’s talk next about how you can actually win those bets. Horse racing is no different from any other sport in that it is easy enough to place a bet, but not so easy to win one. And winning bets consistently can be very hard. But if you want to actually become a profitable punter, that is exactly what you are going to have to do. So before you ever pace a bet on a horse to win or place in a race, you will need a system of some sort to help guide your analysis before the race. Your bet needs to be an informed decision backed by a solid logical rationale. There are numerous horse racing betting systems which you can find for free online or which you can purchase for a fee. You also have the option of coming up with a system yourself. Bet on the course specialist. Some horses have a great deal of experience running on certain courses. They may even have won multiple times on the same track. Horses like these are known as “course specialists.” If a course specialist is running in a race, it is often a good horse to back. It not only will have a greater knowledge of the track than its opponents, but it might enjoy the course and perform better as a result. Wager against the short-priced favorite. If you find a short-priced favorite on a race, it may be that it is overvalued to win. If you simply back the second-named horse, you may be in great shape. Back the horse with the biggest weight concession. This horse has the most substantial advantage in its class, so it may be a logical one to back. The youngest handicapper in a race tends to be undervalued simply because of a shortage of experience. If you spot one which showcases incredible ability on the track, you can get a great value on your wager. As you can see, these systems are incredibly simple. When you are new, they offer you a starting point to getting into betting on horse racing. I strongly recommend however that you work on developing a personalized system which goes into much greater analytical depth. There is so much you can look at when you are conducting your analysis, both with the horse and with the trainer and the jockey. You also can take track conditions, weather, distance, class, form, and many other factors into account. The more comprehensive your analysis, the greater your understanding will be. When you find a method which yields consistent results, combine it with smart money management and you can become a very profitable punter. Now that you know about the types of bets you can place on horse races as well as horse racing systems, it is helpful to learn some basic horse racing terminology. We will start with terms which apply specifically to the horses themselves. Horse: You might think this would refer to any horse … but in technical terms, a “horse” refers to a non-gelded male age five years or older. Dam: The mother of a horse. Sire: The father of a horse. Maiden: Any horse which has yet to win its first race. Mare: A female horse age five or older. Stallion: A non-gelded male horse. Juvenile: A two-year old horse. Broodmare: A female horse kept for breeding purposes. Broodmare sire: The father of a broodmare. Stud: A male horse kept for breeding purposes. Gelding: A castrated male horse. Yearling: A one-year old horse. Colt: A non-gelded male horse age five or younger. Filly: A female horse age four or younger. To summarize, race horses are bred by broodmares and studs. These are the dams and sires of the horses. Horses start out as foals, and then grow into yearlings, and from there become juveniles. A filly grows up into a mare, and a colt grows into a stallion. Any horse that has still not won a race is known as a maiden, and may run in special races for maidens until it finally achieves its first win. These are all terms you will encounter when you are researching various horses to learn about their capabilities and parentage. You may also sometimes encounter them when looking at types of races (there are races only for fillies for example, like “Oaks” races). Oaks: A race for three-year-old fillies. Derby: A race for three-year-olds. Handicap: This is something I alluded to previously in the section on betting systems. In a “handicap race,” the horses each carry weights designed to level the playing field. A faster horse carries more weight than a slower horse. Claiming: Horses in a claiming race have been sold prior to the race. Jump racing: Horses must clear obstacles in a jump race, also referred to as a steeple-chasing race or “National Hunt” racing. Flat racing: Contrast jump racing with flat racing. No obstacles are involved with flat racing. Flat races can take place on oval or straight tracks. Distaff: A race for female horses. Maiden: A race for maiden horses. Route: A race which is one mile or more. Marathon: A race which is 1 ¼ miles or more. Sprint: Any race of less than a mile. Endurance racing: A race of 25-100 miles across actual terrain. Stakes: An exclusive race for the crème de la crème of racing horses. While you are looking up news and information on an upcoming race, you will also hear a lot of chatter about track conditions. Fast: A dry, even track is referred to as a “Fast” track. This is an ideal condition for a race. Wet Fast: This is a track which started out as a Fast track, but a recent rain shower has resulted in a wet surface. The track is not soaked, however, and underneath that surface there is still a hard base which offers plenty of support for smooth running. Good: Somewhat counter-intuitively, this type of track is not the best. It is wetter than a wet fast track, but still not totally muddy. Muddy: If a track has been soaked to the point where both the surface and the base are soft, it is muddy. Sloppy: If a track has standing water on the surface, it is classified as Sloppy. Muddy tracks are not Sloppy, because they lack standing water. Slow: A totally drenched track is known as a “Slow” track, and is the furthest thing from a “Fast” track. Bullet: The fastest workout before a race. Chalk: Simply referring to the favorite. Dead Heat: Another term to refer to a tie. It does not have to be a tie for winning; it can tie for placing second or any position. Field: The “field” of horses in a race is simply all of the horses which will be racing. Handle: This refers to the total amount of money which is staked. Key Horse: If you place a wager which incorporates more than one horse to win, place or show, this is the principle one you have selected. Length: This measurement is around eight feet, and is the approximate distance from nose to tail. Morning Line: Before placing bets, you can look up the morning line. These are odds provided by the track handicapper. 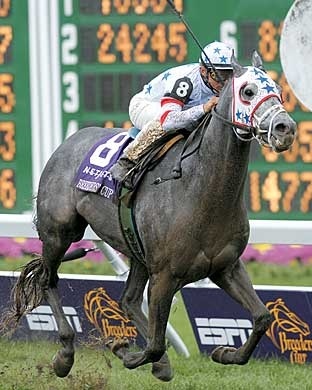 Pacesetter: The horse currently leading a race is its pacesetter. Pool: Payouts in horse racing depend on how much money has been wagered. The bets all go into the “pool,” which is then paid out to the winners. Wire: This refers to the finish line of the race. Workout: Any morning exercise run which takes place immediately before a race. A horse’s workout performance can help you to make predictions about its race performance. You should feel much less confused now when you are reading news articles on upcoming horse races, studying the histories of various horses, jockeys, and trainers, and when you are placing your first horse racing bets. Remember to check this article for recommendations on where to place your bets. Our suggested sportsbooks offer excellent promotions for punters wagering on horses and offer a wide variety of bet types and action on all the major races. Check back soon for more guides which go in-depth into other important aspects of analyzing and handicapping horses! Visit the Bovada Racebook to receive your $250 deposit bonus and bet on your first horse race!